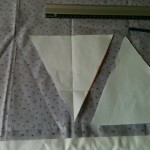 So last week DD and I went shopping for fabric to make the bunting for her wedding. 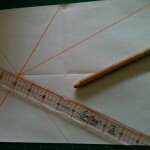 As anyone who reads this blog will know, I luurrvvve fabric shopping! 🙂 We spent a happy hour in Calico Laine in Neston which is only a few minutes away, but totally forgot the time and then had to rush off to pick up her eldest from school! 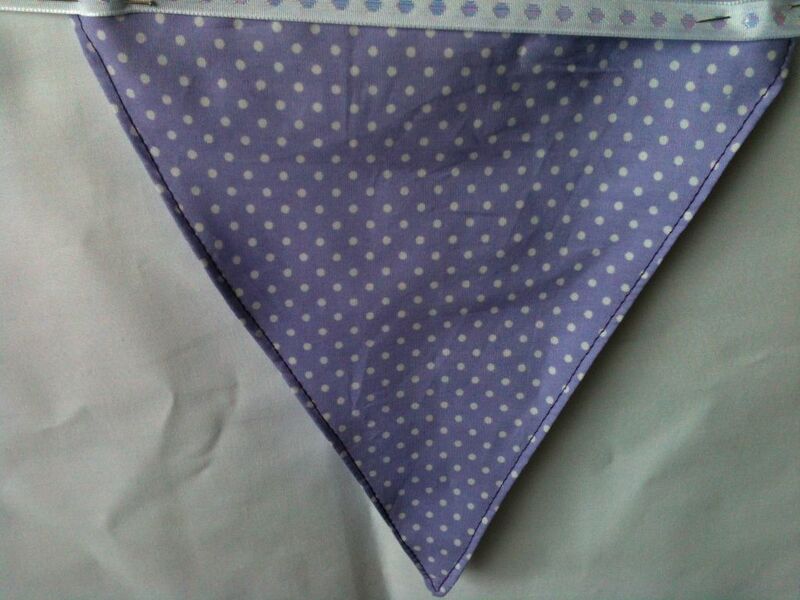 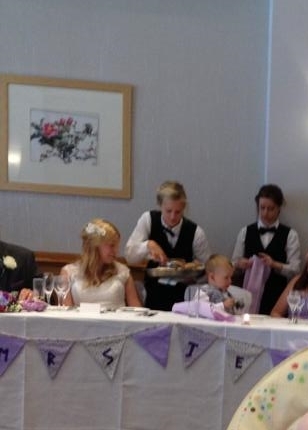 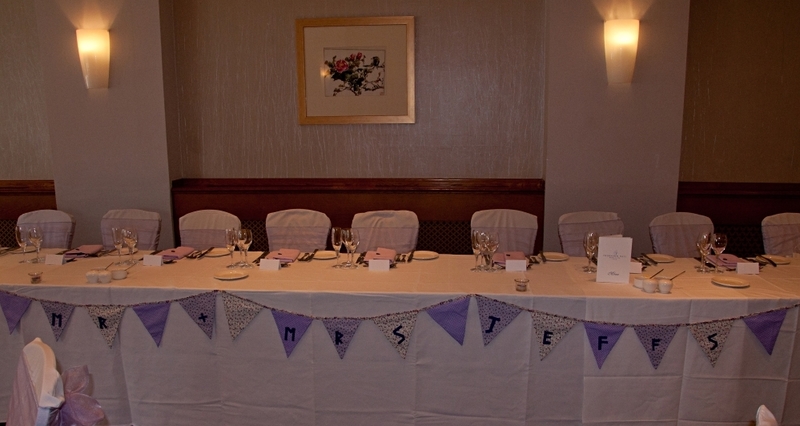 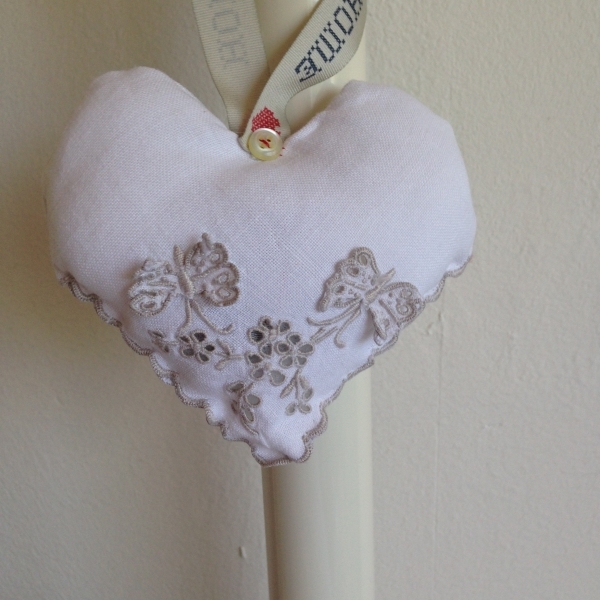 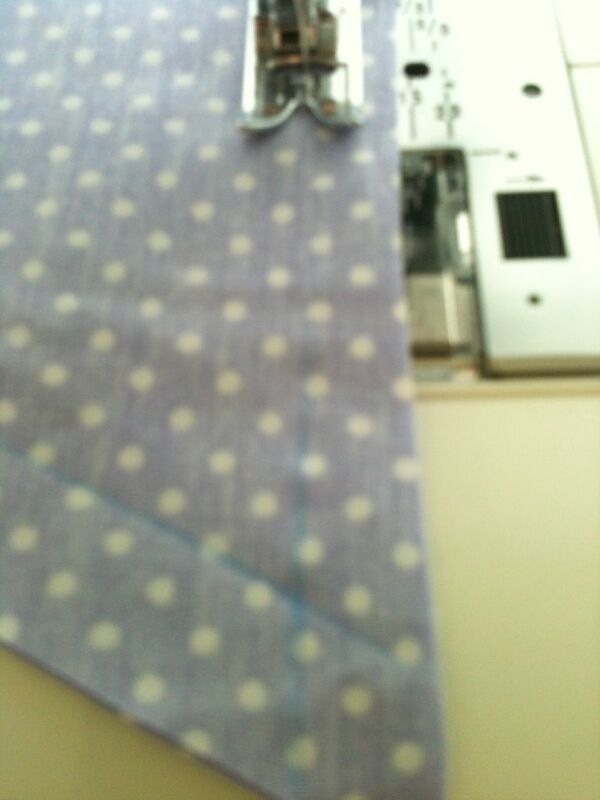 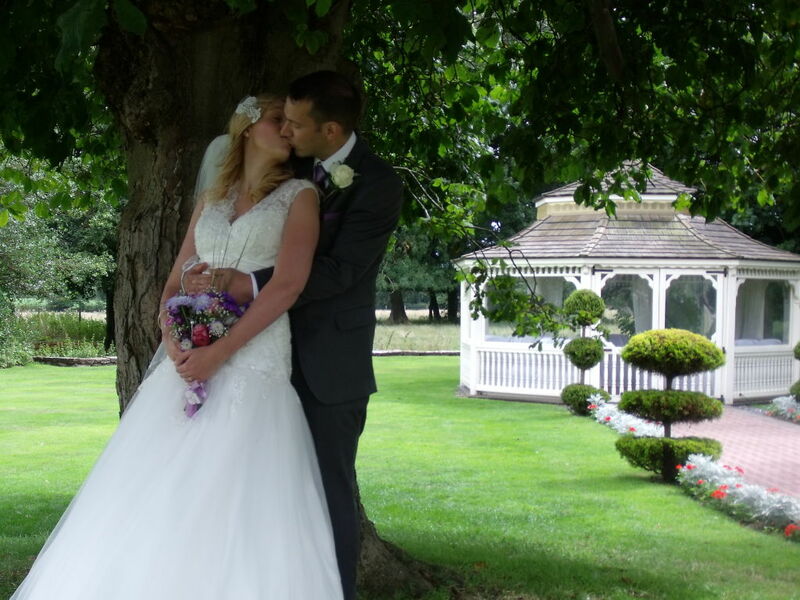 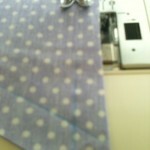 Luckily we managed to find some lovely fabrics to match the lilac and white colour scheme before dashing off! 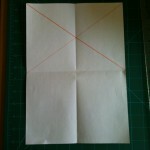 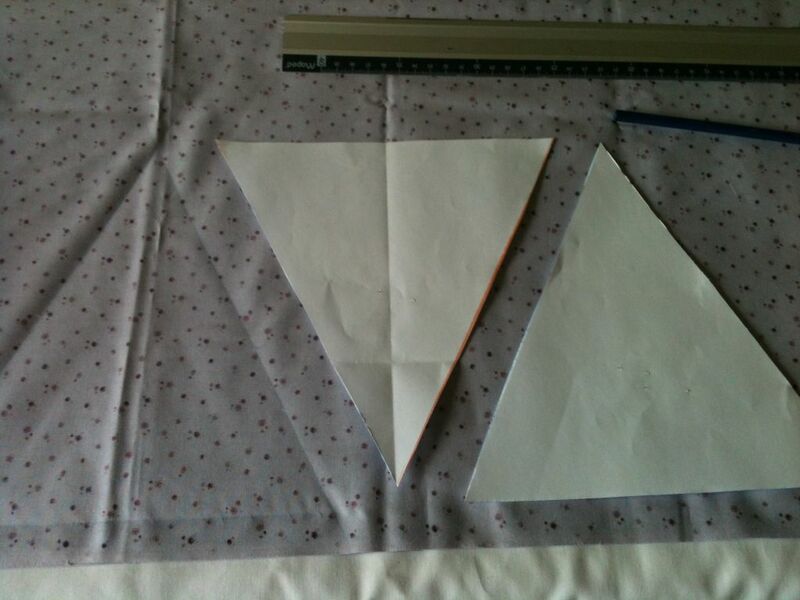 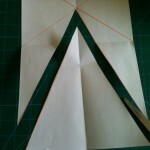 I made the bunting template really easily by folding a piece of A4 paper down into a quarter so that when opened out again it has folds making a cross. 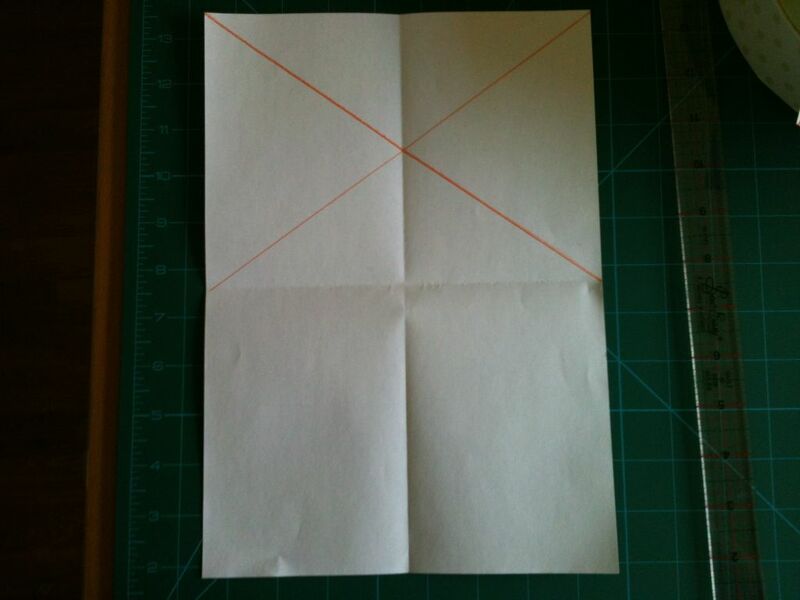 draw lines from the middle side to the opposite top corner. 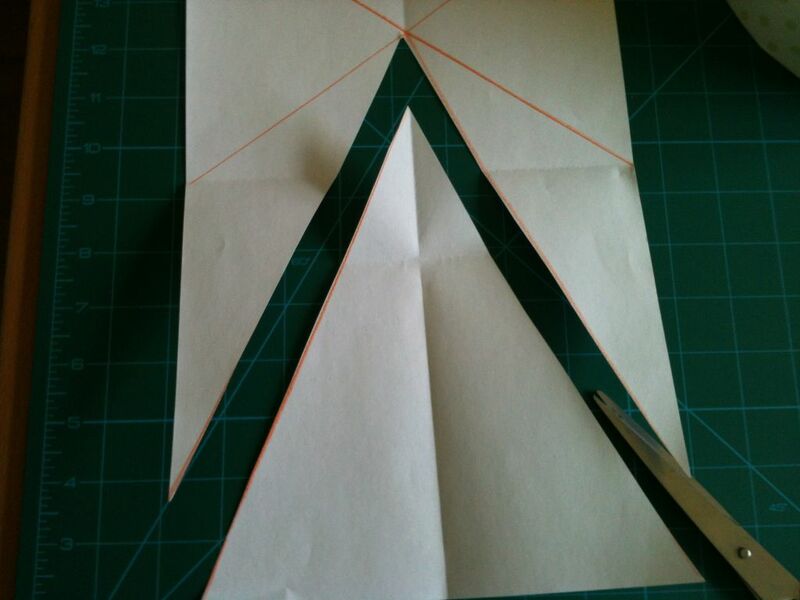 draw from bottom corner to point where first two lines intersect on the fold. 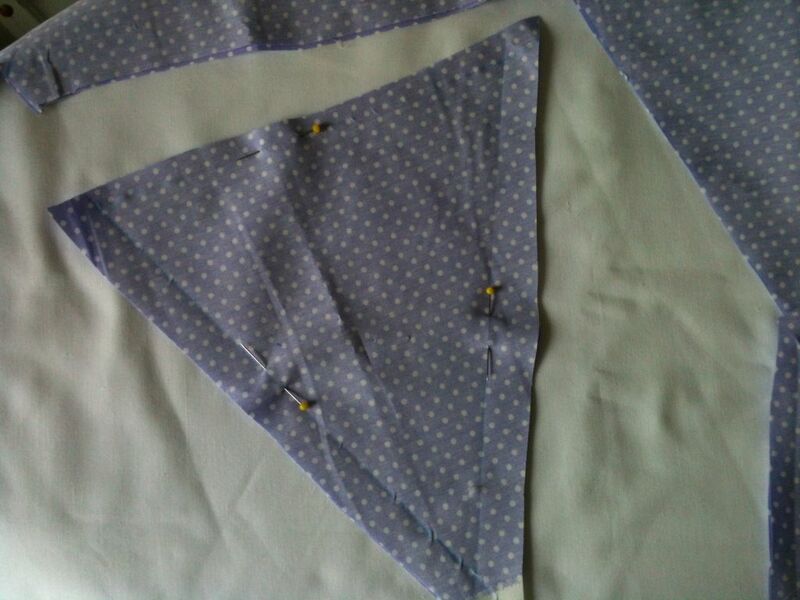 Next I folded my fabric with the right sides together and pinned two templates to the wrong side and drew round them before moving them along. 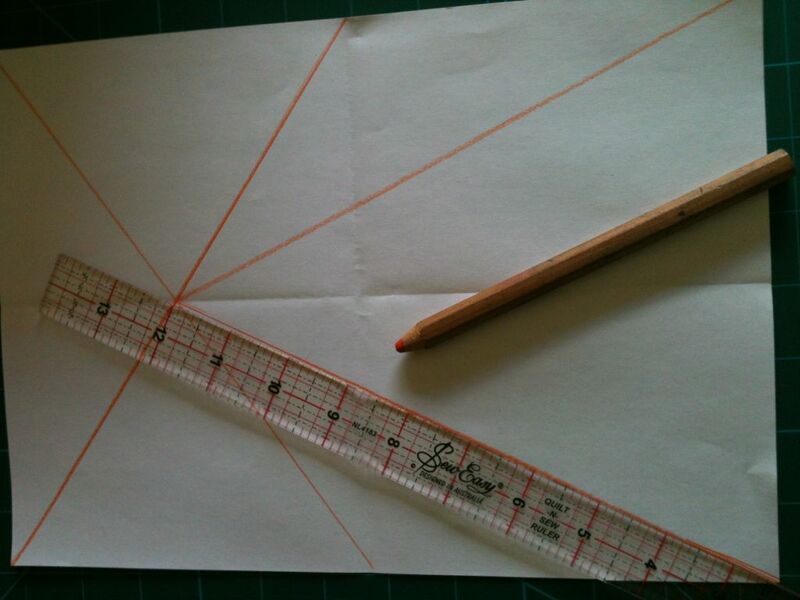 Cut out the fabric about a inch from the drawn line. 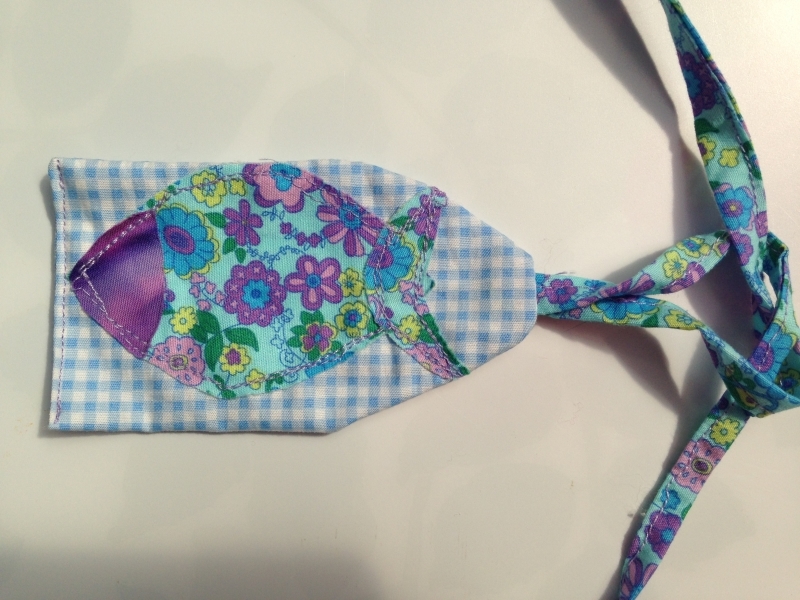 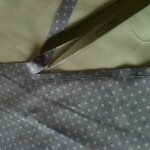 You can now easily sew in a straight line and no worry about leaving perfect 1/4 inch seams as these are trimmed later! 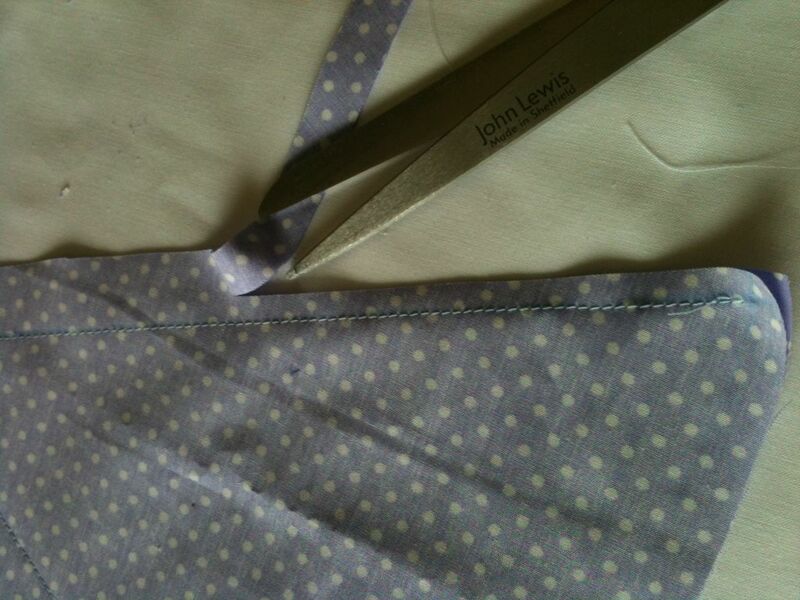 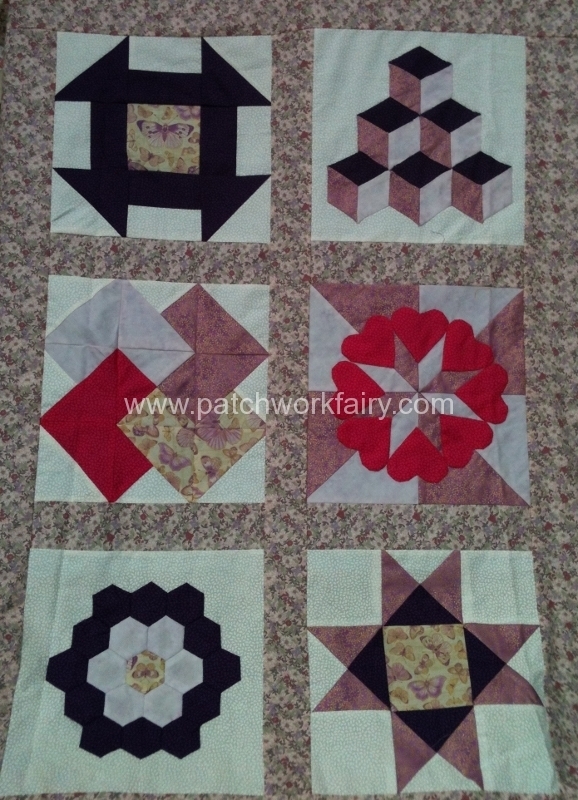 Don’t forget to leave half the top line undone to enable you to turn the fabric to the right side at the end. 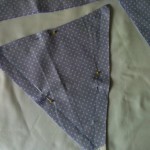 Now after turning the flags right sides out, fold inwards the edges of the hole you left and pin some ribbon or bias binding along the top to hold all the flags together and close up where the hole was. 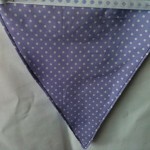 I also tried top sewing one of the flags to see if I like the look, not sure really. Obviously I will have many more of these for the final wedding bunting and will sew on the top ribbon properly when I have decided whether or not to top sew every flag! Just a few more to make now! 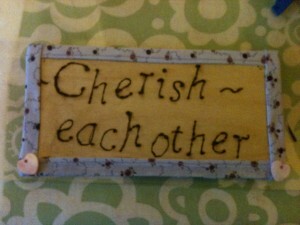 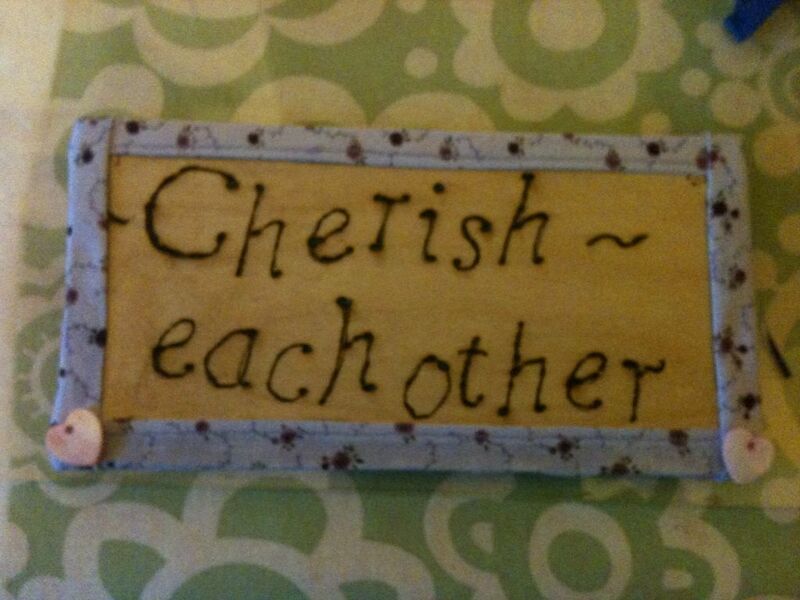 First though I am off over to Handmade Monday to see what everyone else has been up to! 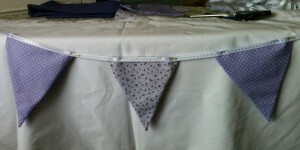 Finished Bunting after the Wedding!